Mixed feelings about Microsoft SharePoint abound in organizations today. Some say it's great and others, don't want anything to do with it. That's sooo 2007. Welcome to the year of SharePoint. On May 12, Microsoft will launch SharePoint 2010 which is regarded as "the business collaboration platform for the Enterprise and the Web". 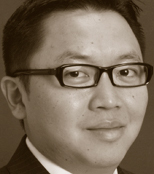 Join Dux Raymond Sy (author of SharePoint for Project Management) as he shares (no pun intended) 5 Great Reasons Why SharePoint 2010 Will Revolutionize Your Organization.